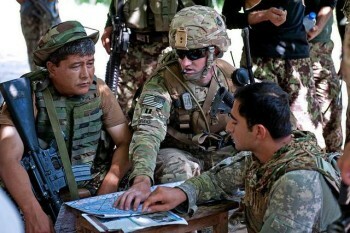 General Joseph Dunford, the International Security Assistance Force (ISAF) commander, recently told the New York Times that America’s “presence post-2014 is necessary for the gains we have made to date to be sustainable.” His reasoning was that although the Afghan National Security Forces (ANSF) are bearing the brunt of fighting, “at the end of 2014, [they] won’t be completely independent” operationally and logistically. Since the Obama Administration is already considering either a “zero option”—whereby there will be no American troops after 2014—or an earlier withdrawal, General Dunford’s plea for America’s continued involvement in Afghanistan will not likely be taken seriously. 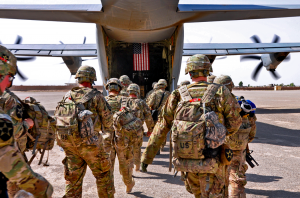 For one, according to a recent Washington Post-ABC News poll, 67 percent of Americans surveyed believe that the Afghan War is not worth fighting. Moreover, the recent video conference between President Obama and President Karzai proved that their relationship has deteriorated considerably due to lack of trust and miscommunication. Whatever the case may be, two things are clear. First, in the face of grim fiscal realities, the United States must fight smarter to contain terrorist networks. Second, the United States should allow the Afghan people to figure out for themselves how they want to live. As regards the second, according to Afghan journalist Ahmad Shafi, Afghan people have, thanks in no small measure to the American occupation, become integrated into the global community and have, therefore, become more sophisticated and cognizant of global affairs. In fact, Shafi wrote in June that while the Western media likes to “embellish” the threat of an impending civil war, most Afghans “‘beg to differ en masse’ on the magnitude of threat posed…by a bunch of violent extremists, whose grim visions are so far away from the realities of today’s Afghanistan.” One reason for this “discrepancy” between Western media perceptions and those of Afghan citizens, according to Shafi, is due to “radically different” political dynamics at play whereby the warlords and the Taliban find it “increasingly difficult” to connect with the new generation of Afghan citizens most of whom are under the age of 25. Simply stated, it is too early to draw conclusions about the supposedly ominous fate awaiting our Ngo Dinh Diem in Kabul or ordinary Afghan citizens. Despite the gloomy assessment by General Dunford that the United States needs to extend its troop commitment past the 2014 deadline, there is little reason to worry. True, as Zachary Keck argues, “there are no ideal conclusions to the Afghan conflict available” at present. Nevertheless, the much-feared Taliban takeover may or may not take place. And even if the Taliban successfully returns to power, one way or the other, the United States can work with the fundamentalist regime to contain the international terrorist network. As to the now-common comparisons between a possible Taliban takeover and those of the North Vietnamese and Khmer Rouge victories in April 1975, only time can tell how the events will unfold. In the end, no matter the outcome, the Afghan citizens, as with Vietnamese and Cambodians before them, will sort out their own fate. This article was originally published in its original form in the Georgetown Journal of International Affairs and was cross-posted by permission. Read the original post here. Previous PostIntroducing the IzumoNext PostHow Vulnerable are Yemen’s Ports?